Excited about our EP launch gig for https://t.co/EV3dA7jxX3 – This Saturday at CB2 café in Cambridge. Album art sneak preview tomorrow! We’re excited to be launching our mini-album this Saturday in a gig for Acoustic Routes in Cambridge – at CB2 Basement Café! We’ll be performing the entire EP completely unplugged (with the exception of the bass guitar…) Also playing are a wide range of other fantastic bands: Crooked Tree, SJ Mortimer, Karen Johnson & Tony Clark, Bernard Hoskin and Rhys Wilson. We’re excited to announce the release of ‘Moon on a Stick’ – a brand new EP and our first release since 2012’s ‘T-shirts with arrogant slogans’. Containing 7 tracks, many of which are live favourites, ‘Moon on a Stick’ has already been described as Jacqui and Geoff’s ‘first release since 2012’s T-shirts with arrogant slogans’. The official launch will be on 18 March, when the EP will be available digitally from all the usual places – iTunes, Spotify, Amazon etc. – and the CD will be available direct from the band. However, you can get it RIGHT NOW from Bandcamp – http://jacquiandgeoff.bandcamp.com. It’s available as a ‘pay what you want’ download – including free if you wish. To celebrate, we’ve also updated our back catalogue on Bandcamp so that you can also pay whatever you want for ‘T-shirts with arrogant slogans’. We’re delighted to be joining the CAN House Band at CB2 this Saturday for an intimate acoustic gig. This is our first gig after a little break during which we’ve been working on the next album and we’re looking forward to playing live and unplugged! Acoustic Routes together with Cambridge Acoustic Nights have brought a new type of evening to CB2. This Session will feature singer/songwriters Bernard Hoskin, John Meed, Dave Streatfield and Rhys Wilson. For the first half they will perform “in the round” taking it in turns to play songs, telling stories and sometimes accompanying each other. The second half will open with a special guest and then close with all four musicians playing as a the CAN House band. You can expect to hear songs by people such as Bob Dylan, Paul Simon, The Band, The Beatles, Elton John, Gordon Lightfoot, Jim Croce and more. James Morgan was another local highlight. Lakeman in Marquee 1, who did a fantastic job closing the festival. away the best performance we’d seen from him and his band. 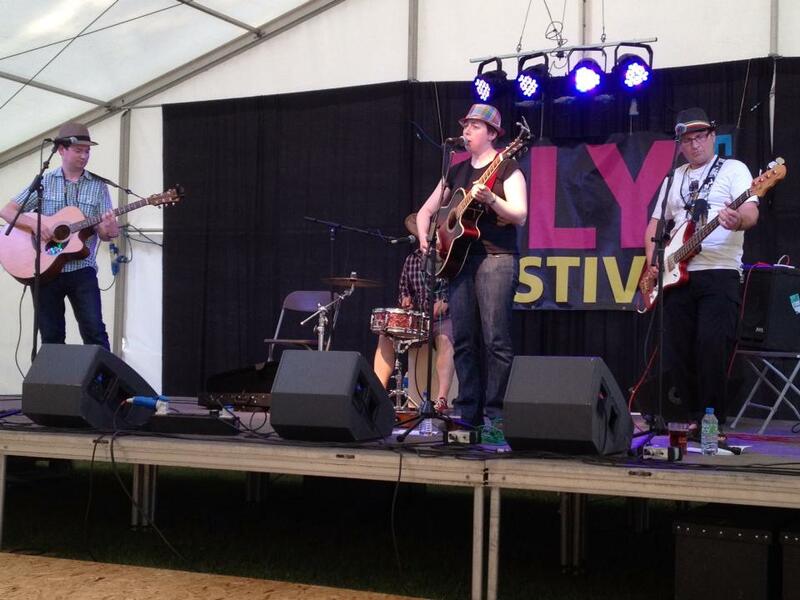 Just got back from Ely Folk Festival – fantastic weather. We all got hat and bought hats. Musical highlights included Ezio, Home Service, the Black Jack Blues Band and Karine Polwart (again).